While luxury jewelry, hats and sunglasses are popular among lovers of high fashion, no upscale accessory commands attention quite like the designer handbag. Today, ShopRDR.com takes a look at a few of the most coveted designer handbag labels from across the globe. 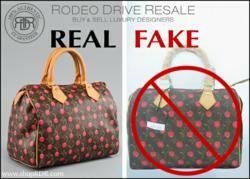 Rodeo Drive Resale - www.shopRDR.com - Has Guaranteed Authenticity of every item sold for over a decade. Designers like Coach and Gucci, once considered elite fashion among midrange shoppers, have become much more affordable in recent years. Whether it is a Chanel quilted leather shoulder bag or a Louis Vuitton clutch; at the heart of every lover of high-end women’s fashion lies an affinity for authentic designer handbags. Today, Rodeo Drive Resale (http://www.shoprdr.com), premier reseller of 100% authentic guaranteed Louis Vuitton handbags, Chanel Wallets, and similar luxury items shares the most beloved designer bags in the world. Many of the brands listed below can be found on shopRDR.com at a special discounted rate for the holiday season. In addition, luxury lovers can earn free shipping on special purchases. 2) Louis Vuitton – Every luxury bag lover has their preference, but most agree: When it comes to style and status, few brands can match the reputation of this French fashion label. Vintage Louis Vuitton bags, wallets and accessories have become the gold standard for sophistication, and as the label looks to maintain its position as the premier fashion brand among China’s growing luxury market, demand for LV, founded in 1854, remains as strong as ever. Because of their uncompromising selling strategy (LV has not had a sale in 154 years), midrange shoppers looking for a deal flock to sites such as ShopRDR.com, which offer buyers the opportunity to buy or sell 100% authentic designer handbags at a fraction of the cost. 3) Chanel – Founded in the early 20th century by fashion visionary Gabrielle “Coco” Chanel, the Chanel clothing and accessories are adored for their elegance and versatility. The Chanel 2.55 shoulder bag was first released in 1955, after Coco decided she needed a bag to free up her hands. Updated in 2006, the bag remains wildly popular among Chanel lovers around the world. 4) Gucci –Exclusive, luxurious and instantly recognizable, Gucci, established in 1921, has become a status symbol for the rich and powerful. Worn by such iconic figures as Hollywood starlet Elizabeth Taylor and former First Lady Jacqueline Kennedy, the Italian company’s line of timeless handbags continue to resonate with buyers of upscale fashion, as the Gucci Hobo Bag has become a fast favorite among brand loyalists. 5) Longchamp – Rounding out the list of most-searched handbag brands is Longchamp, a French leather and luxury goods company founded in 1948. “People love the simplicity of Longchamp,” Raya says. “It is impeccably made of the highest quality leathers and textiles but has a very subtle look. It is not flashy, or logo covered which is more common with Coach bags.” In addition to handbags, the company also produces clothing, scarves, and similar fashion accessories.